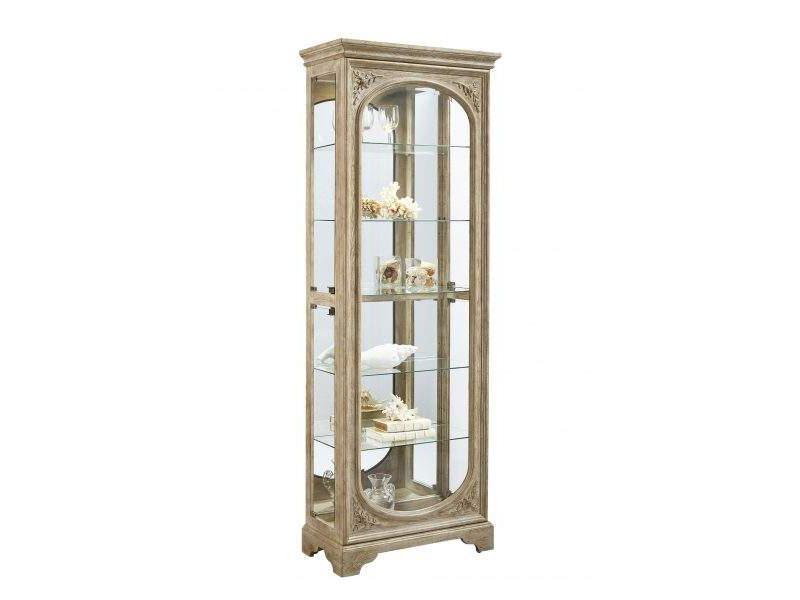 This traditionally styled display cabinet is a great accent piece for any room. The light finish, carved details and mirrored back panel beautifully display accessories, China and more! Five adjustable glass shelves and a three-way touch light Create a welcoming display in your home.